America is a diverse country, however, not everyone recognizes how beneficial a multicultural society is for our economy. New ideas born out of our region's divergent pool of ethnicity remain untapped. For our country to achieve and maintain full economic bloom, we must learn to embrace and utilize the diversity of our citizens. The Southern Connecticut Black Chamber of Commerce exists to facilitate that change. 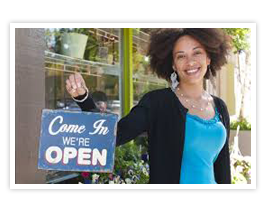 Your small and minority-owned business deserves a chance to penetrate the national market. Our business network, The Southern Connecticut Black Chamber of Commerce, is here to help you. As a member, we offer MBE certification and participation in supplier diversity programs. We work with corporations, municipalities, small, women-owned and brick-and-mortar businesses. Funding is very important when it comes to running a business. Our organization partners with different institutions that give access to capital as well as information, technology, and legislation. Give your company a competitive edge in today's lucrative business market. Contact our chamber of commerce to find out how. 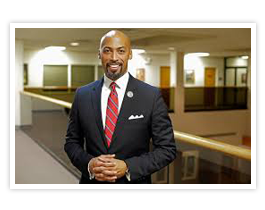 The Southern Connecticut Black Chamber of Commerce, located in Bridgeport, Connecticut, is a business organization committed to ensuring the economic growth and sustainability of minority-owned companies. We have been operating for more than five years. Serving the communities of Stamford, Norwalk, Bridgeport and New Haven, we are the state's first regional black chamber of commerce. The chamber takes great pride in our ability to bridge the gap between minority businesses and today's lucrative business market. Through our MBE certification program, our group has certified more than 200 businesses that have been awarded over $8 million in contracts from private entities and the City of Bridgeport. We have also connected numerous small and minority businesses with larger prime contractors.